We want to bring The Lost Words to each of London's maintained primary & special schools. Help rewild childhoods and support our campaign! Crowdfunder projects have already helped deliver The Lost Words to schools in Haringey, Lambeth and Wandsworth. Now, we want to bring the magical book to the rest of London's maintained primary and special schools. Support our campaign, and help rewild childhoods! After the most recent edition of the Oxford Junior Dictionary – widely used in primary schools across Britain – was published, a sharp-eyed reader noticed that a number of common ‘nature words’ had been dropped from the new edition. The deletions formed a crooked almost A-to-Z, including acorn, adder, bluebell, buttercup, dandelion, fern, heron, kingfisher, lark, newt, otter, wren and willow. The words taking their places in the new edition included attachment, block-graph, blog, broadband, bullet-point, celebrity, chatroom, committee, cut-and-paste, MP3 player and voice-mail. These words had been dropped because they were no longer being used enough by children or in the stories and the books they read to merit inclusion in the dictionary, which for many, signaled a gap that has opened between childhood and the natural world in this country. 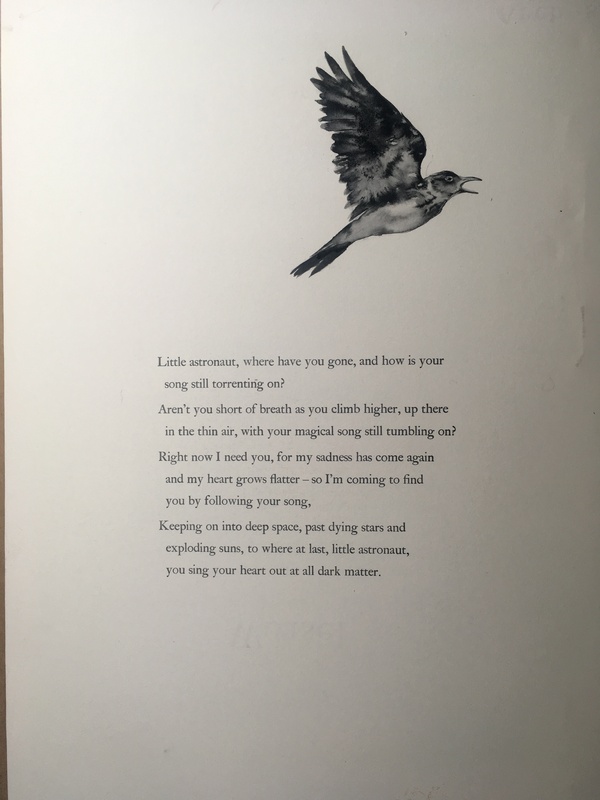 So, in 2015, author Rob MacFarlane and illustrator Jackie Morris created The Lost Words, a spell book that might summon back these words into the minds of children. The Lost Words - a "revolution"
Since its publication, campaigns have sprung up to place the book into every school, hospital, hospice, and care home up and down the UK. In the words of the Guardian, it is ‘a cultural phenomenon’, and what Chris Packham has called ‘a revolution’. Communities and individuals have raised over £60,000 to achieve this, starting with a campaign for the whole of Scotland (more than 2500 primary schools). Now, copies of the book are being delivered by bicycle (one man cycling 400 miles back and forth across Dorset), by sea kayak to outlying island schools, or in the company of barn and tawny owls (brought into schools by the Suffolk Wildlife Trust. Robert and Jackie have started something huge, and they’re getting glimpses of the action with daily emails, photographs, videos and social media posts by people who are using it to change our relationship with the natural world. With the backing of the Mayor of London's office and Bulb, a leading renewable energy provider, Trees for Cities have decided to have decided to work with Robert and Jackie to place a copy of The Lost Words into every state primary school in London, and in this way to help to re-green early years education in our capital city. Crowdfunder projects have already helped deliver The Lost Words to schools in Haringey, Lambeth and Wandsworth. To bring The Lost Words to the rest of London's maintained primary and special schools, we'll need to raise £15,000. You can help us reach our target. Our partners, Bulb, will match every £ donated, up to a total of £15,000. Bulb is a leading renewable energy provider that makes energy simpler, cheaper and greener for households and businesses. Bulb and Trees for Cities work together to deliver our groundbreaking Edible Playgrounds programme in primary schools across the country. Edible Playgrounds inspire hands-on learning and get children excited about growing and eating healthy food. They help improve health and wellbeing, open up access to nature, and provide a fun outdoor learning environment that supports cross-curriculum teaching. Sharing The Lost Words with London state primary schools encourages even more outdoor learning, which is why we started this project. The Lost Words illustrator, Jackie Morris, has an original Sumi ink painting of a skylark signed by herself and Robert. Anyone who supports our project is in with a chance of winning it! Make your pledge, and the lucky winner will be announced once we reach our target. Support our project, and let's rewild childhoods. Pledge £15 to get a Trees for Cities tote bag! Pledge £15 and you'll get a Trees for Cities tote bag! A great accessory and fantastic alternative to plastic bags. One supporter could have their very own beautiful mural by the talented Gorsebush! From murals inspired by The Lost Words itself, to green men and pop art, the skilled artist can create something special for your home, business, school or whatever else! Pledge £500 for a mural sized 1mx2m Pledge £1000 for a mural sized 2mx3m Please note, only one mural is available.